The subject of my latest Forgotten Postcard probably comes as no surprise, to those of you who know I’ve just returned from Greece. I was fascinated by the ancient architecture of the Acropolis and how it dominates the city of Athens. But the Acropolis isn’t the only ruin of note in Athens. This photo was taken from the Agora, an open air meeting and marketplace in ancient Athens located at the base of the Acropolis. I hope you enjoy this postcard as much as I enjoyed creating it. 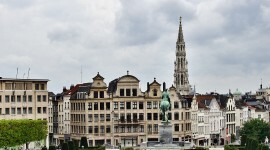 For many more iconic scenes of Europe and elsewhere, don’t forget to check out the rest of my Forgotten Postcards Series. 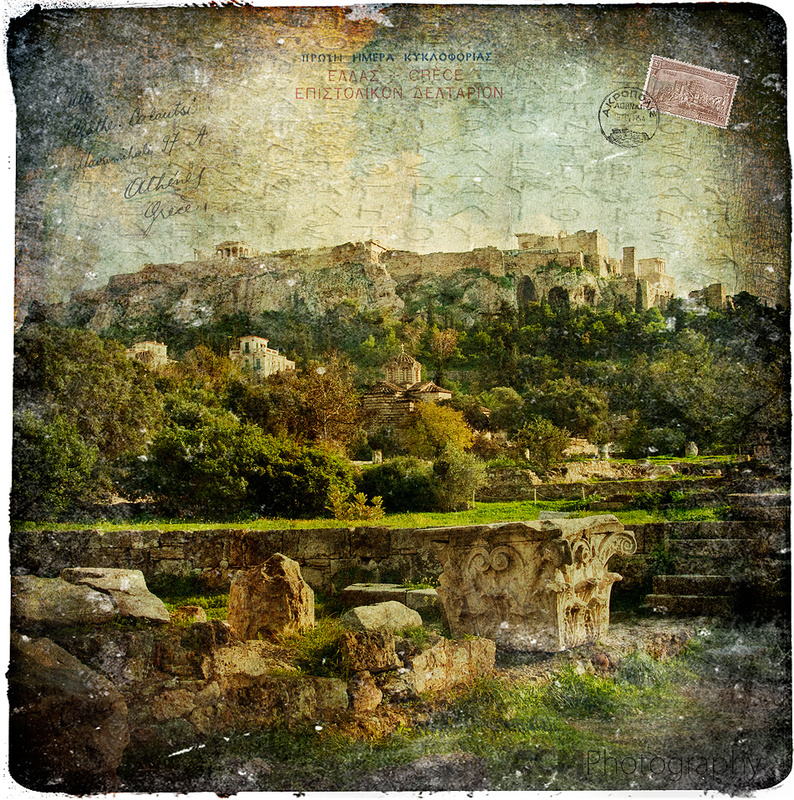 This entry was posted on Monday, November 22nd, 2010 at 15:46 and is filed under Digital Art, Forgotten Postcards and tagged with Acropolis, Agora, ancient, Athens, collage, digital art, europe, Forgotten Postcard, Greece, photography, ruin, Travel. You can follow any responses to this entry through the RSS 2.0 feed.